Beautiful full moon shining bright on dark sky. 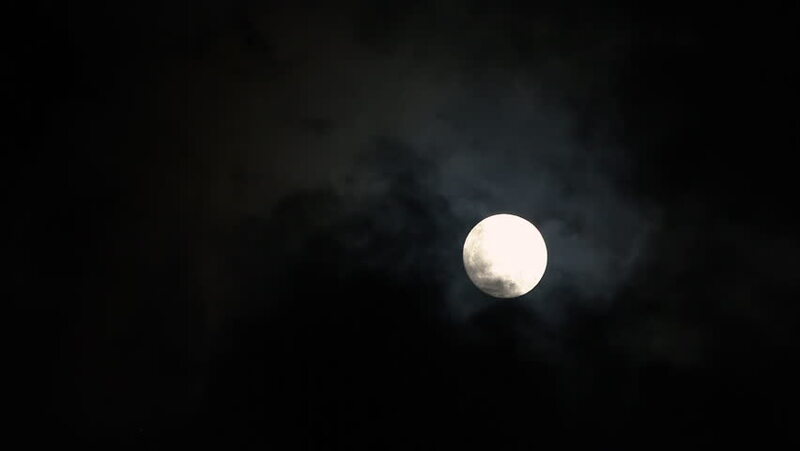 Fast moving black clouds passing over the moon at night, at real time. The moon was obscured by clouds. Outdoor at nighttime. hd00:30The full moon is covered with fog. The light of the full moon through the fog. hd00:10Start of full lunar eclipse 2018 from Johannesburg, South Africa. hd00:09Airplane passing close to the moon.